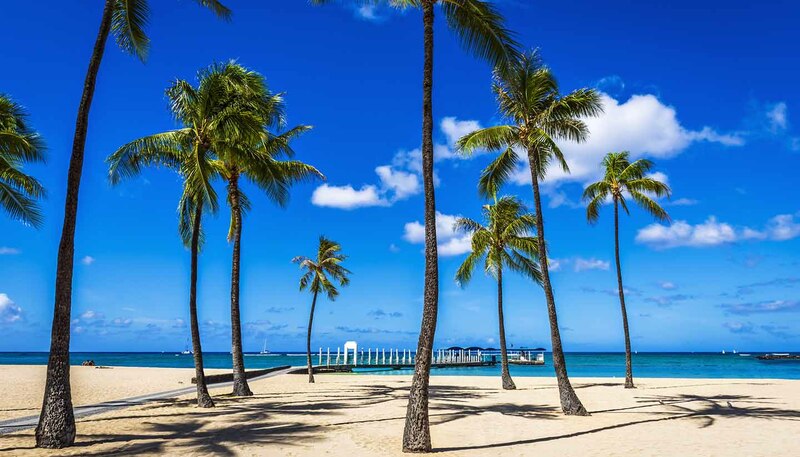 Hawaii is warm throughout the year, with an average temperature of 25.5 to 29°C (78 to 85°F), and no appreciable difference between 'summer' and 'winter.' Heavy rainfall can occur in the mountainous areas from December to February, but most regions only receive short showers, while others remain totally arid. Lightweights are advised throughout the year, with slightly warmer clothes for winter. Beachwear is popular, and protection from the midday sun, such as sunglasses and sun hats, is advisable.